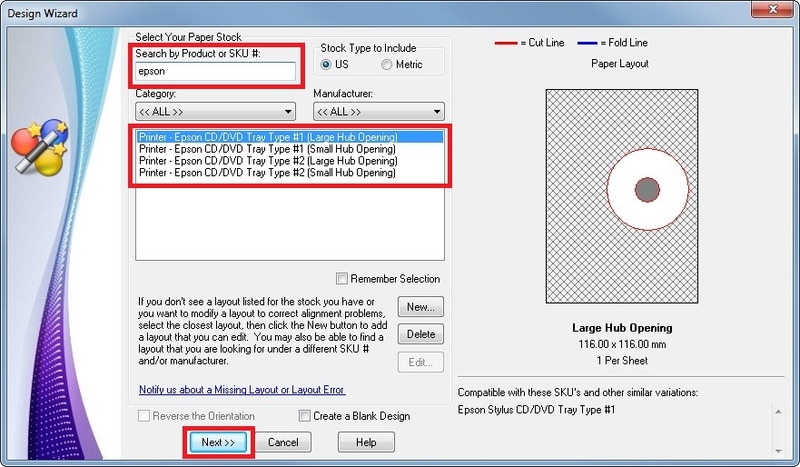 The step by step guide below shows you exactly how to easily create and print a CD with your Epson printer. Print Designer GOLD also allows you to print business cards, labels or all types, post cards, envelopes, signs and more. 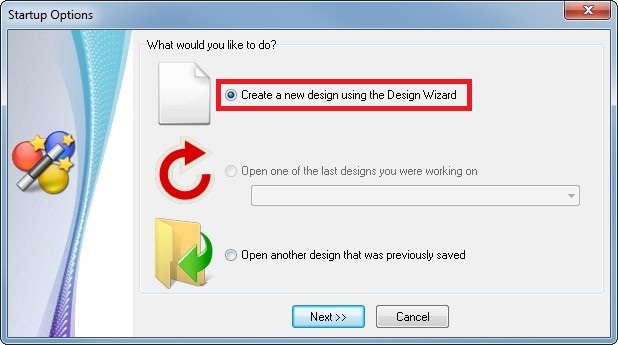 STEP 1: When Print Designer GOLD starts select Create a new design using the Design Wizard then click Next or click New on the toolbar. STEP 2: On the first screen in the Design Wizard click on Select or create a layout for the stock you have. 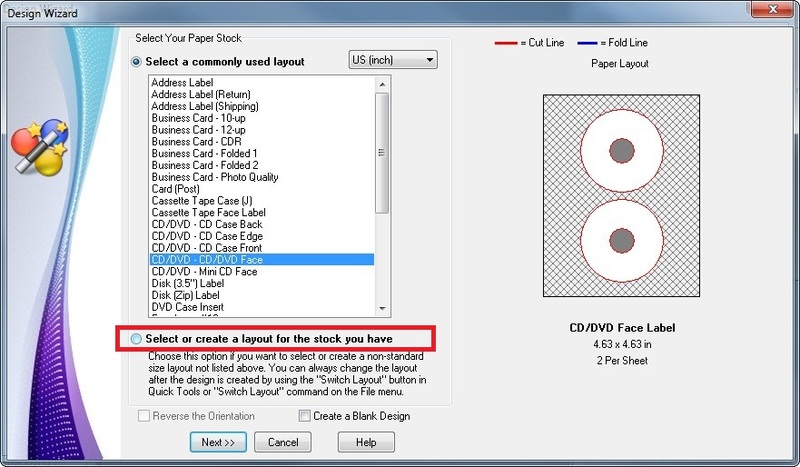 This will allow you to select from a wide variety of paper stock and layouts (see next step). STEP 3: Type "epson" in the search to easily find the Epson layouts. For almost all printers Tray Type #1 is the correct choice. You can choose from either a large hub opening or a small hub opening. Epson recommends the large hub opening, but if your CD is printable close to the inner hole and you want more coverage you can use the small hub opening. STEP 4: Select a template, add any information or logo (depending on the template chosen) and click Finish. This will create the design and return you to to main editing screen. PRINTING: Before printing you will need to select the CD tray through your printer's configuration screen. To do this choose Printer Setup on the File menu, select the appropriate option to select the CD tray (this varies between printers) then click OK. You can then print the CD by choosing Print on the File menu or the Print button on the toolbar. NOTE: If you find that the printer is not printing on the CD tray, choose Options on the View menu and uncheck the "Set printer orientation and paper size automatically" option under Printing on the left. This will prevent the software from changing the printer page settings.